Want to understand the 2010 election? Look at Ohio. Gambier, Ohio—Ohio's U.S. Senate campaign offers an excellent preview of what this fall's midterm elections will be like: Everyone in the race wants to be an outsider, everyone pledges to break with politics as usual, and everyone is talking about jobs. Those running against Washington include Republican Rob Portman, even though he was elected to Congress in 1993 after working for the first President Bush and then held two high-level jobs in George W. Bush's administration. "My concern is that Washington doesn't seem to get it," Portman says in an interview. Brunner, low on cash and endorsements, proudly turns her problems into an advantage. "I ended up getting painted as an outsider -- thank God," she tells me. In a year when independence seems chic, Brunner argues that she may be the Democrats' answer to Scott Brown, who rode his outsider status and his pickup truck to an unanticipated Republican victory that shook the nation. "I do drive a pickup truck," Brunner says, "but I was already doing it -- I needed it for my dogs." She is about to trade it in for a school bus that may win her comparisons with the late Sen. Paul Wellstone, the progressive champion who rode a school bus to an upset victory in Minnesota. Brunner is still slightly behind Fisher, who is also a former state attorney general and state legislator. But polls show some 40 percent of Democrats undecided in their primary. Fisher, with refreshing humility, suggests that the electorate has other things on its mind than his battle with Brunner. "Because so many people are trying to hold on to their jobs, or find a job, or put food on the table, this race is not a high priority," he says. Although Fisher takes Brunner's challenge seriously -- he predicts the May 4 primary will be close -- he has concentrated most of his fire on Portman and the Republican's links to the second President Bush. "I'm not somebody who's spent most of his life in the corridors of Washington, D.C.," Fisher says in an interview. "We're in the deepest economic ditch of most of our lifetimes, and two of the people holding the shovels were George Bush and Rob Portman." Fisher's comments point to why Ohio could give the country one of its most revealing Senate contests. The seat is open because of the retirement of Sen. George Voinovich, a Republican, and should in principle give Democrats a chance for a gain to balance off expected losses in other states. Neither Fisher nor Brunner has to answer for a record in Washington. And Portman's close ties to Bush 43 create an opportunity for disaffected voters to target the unpopular former president rather than the current one as the object of their scorn. But this very opportunity is why many Democrats wish that Brunner and Fisher weren't campaigning against each other. Portman is generally well-liked, especially in his Cincinnati home base, combining conservative views with a moderate demeanor. "He's like light beer, he doesn't offend anybody," says one Democratic congressional aide who asks not be named. Portman has already raised $6 million, and Democrats fear that while their candidates deplete their treasuries battling each other, Portman will be able to spend lavishly on television as soon as the primary is over. 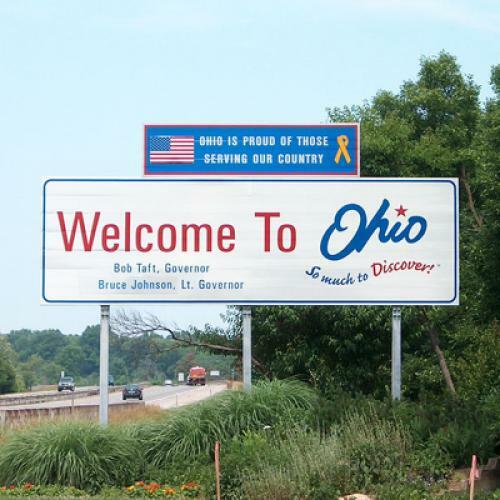 They worry this might discourage the national party from focusing on Ohio. And Portman insists that voters "are not looking back" to the Bush years, though he can't resist adding that when he left the second Bush administration, "unemployment was half of where it is today." With strong support from Democratic elected officials (including Gov. Ted Strickland), the experienced Fisher is a modest favorite in the Democratic race, especially since he is likely to swamp Brunner in advertising. But Brunner has won the affection of many party progressives and her underdog status may yet help her in a year likely to be kind to political insurgents. As for the fall, Fisher believes that several more months of economic growth will improve the climate for Democrats. And he adds: "Much of the unrest and anger we're seeing is directed much more at Washington and Wall Street than at any particular political party." Every Democratic Senate and House candidate with the good fortune of not being an incumbent this year hopes that Fisher is right.